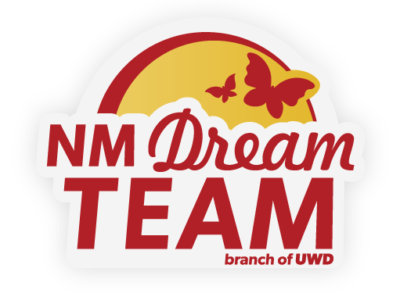 The New Mexico Dream Team Economic Justice department held their second round of small business workshops at ACE Leadership High School, Saturday afternoon The workshops targeted entrepreneurs in the Spanish-speaking and immigrant communities that wish to start their own business or improve their business legally or financially. 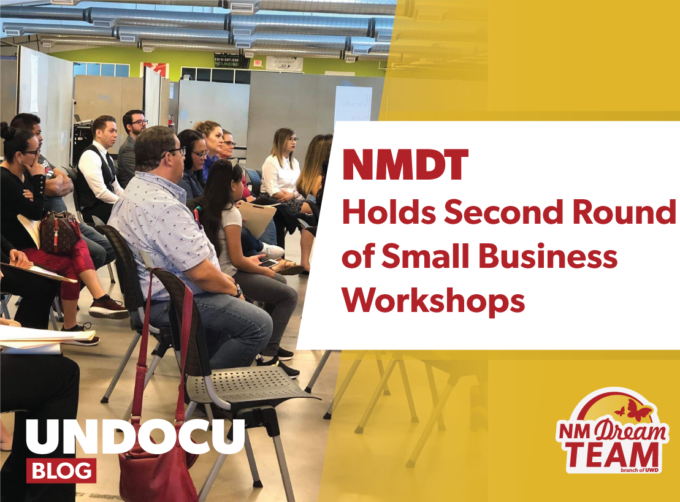 Tinoco is responsible for going out into the city of Albuquerque to talk with local businesses and business owners and invite them to attend and participate in the workshops. During these events, Tinoco is also in charge of leading the Marketing 101 workshop, which is for entrepreneurs who want to learn about marketing and how to develop their business. He also has to maintain a relationship with community partners and create new partnerships with new organizations. The event provided information seminars from local partner organizations like Accion, Nusenda, Bank of America, New Mexico Law Center, Encuentro, El Centro de Igualdad y Derechos, Consulado Mexicano, Small Business Development Center, and BBVA Compass Bank. Gerardo De Luna, Small Business Development Director for Encuentro –one of the event partners– was in charge of providing information on how to develop or improve your business while offering financial assistance workshops. “It is important to educate our community so they know that there are existing resources which they can have access to and can develop a business and obtain those resources to help their business grow and succeed,” De Luna said. “It’s a way for them to have financial independence that helps them grow and maintain themselves in the country”. Manuel Fernando Gonzalez, another fellow for the NMDT Economic Justice Team, is responsible for helping entrepreneurs and local businesses register with the New Mexico Tax & Revenue Dept., the IRS , and helping them obtain local licensing and certificates needed for their businesses to operate in the state of New Mexico. Gonzalez is also responsible in creating and establishing new relationships with partners that would help small business and entrepreneurs reach their goals. “My Goal is to help the immigrant community flourish in their business goals by providing proper information such as NAICS codes, licensing, certification, and to help avoid predatory lending practices,” Gonzalez said. “…even though there are resources available to the community, not many people know how or where to start. With the resources and partnerships we have to offer, I believe we can make our community’s dreams come true”.